This is my first review for Shoplet office supplies blogger review program. 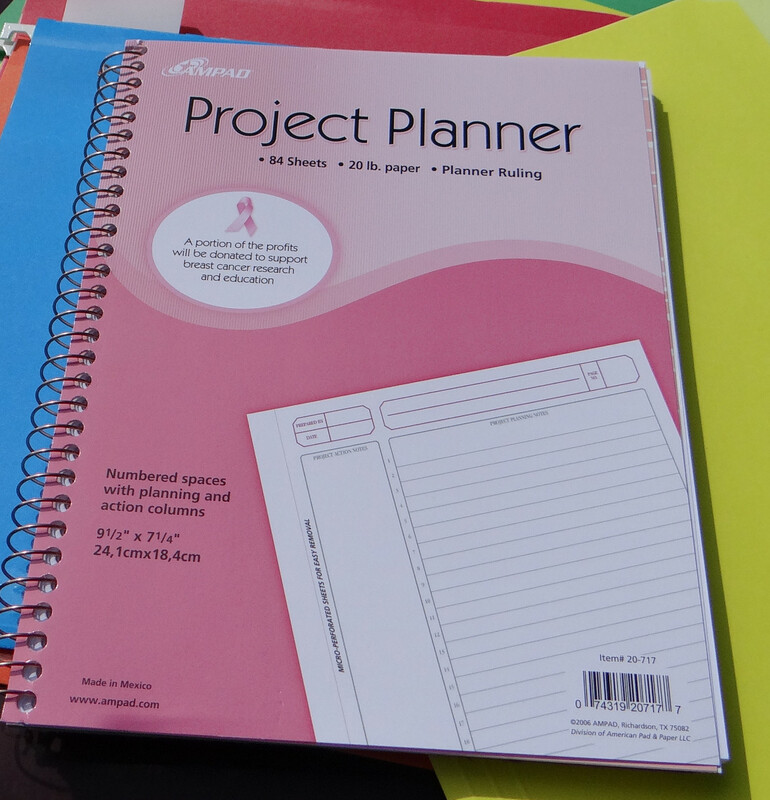 It was pretty exciting getting the first package which had file folders and a project planner. First up, some hanging folders- I'll be honest, my file cabinet is has drawers labelled "Stuff" and "More Stuff" and has bottles, mechanical pencils, composition notebooks and journals in it rather than anything resembling a hanging folder. 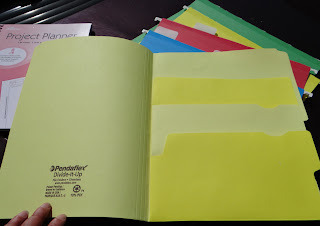 I was still impressed with the design of these and showed them to my husband who does use hanging folders extensively in his job. He thought it was a really good idea compared to "a tab on one side, and you fold it the other way to put the tab on the other side". Pendaflex Ready-Tab Lift Tab Reinforced Hanging Folders have sturdy hooks and are sized for US letter paper. Across the top inside the folder is a pocket with 5 slits in it that have a white tab in each one. You can pull the tabs up and use either labels or a pen to mark the contents. 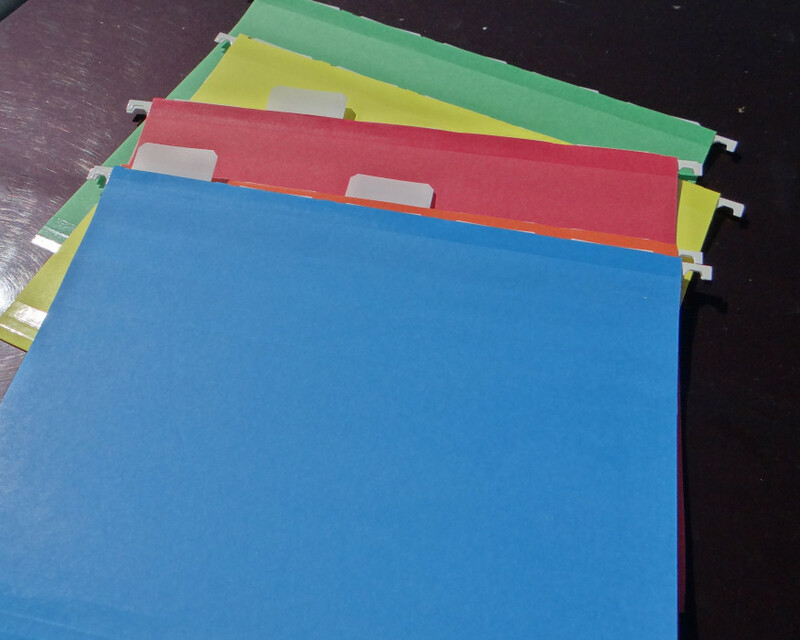 Because they come in 5 color assortments, you could separate files easily by color and still have the tabs staggered for easy reading. It's just a wonderful idea for offices that use a lot of files to keep things very well organized. The other file folder is the Pendaflex Divide it Up File Folder, this is a great one for paper artists. It has tabbed separators to keep things organized. For office use, you could keep receipts in one section, notes in another and photos in the last one. For paper artists, you could separate ephemera for specific projects in this, keeping favorite palettes together for easy cards and pages. Nice heavy paper and they come in bright cheery colors. 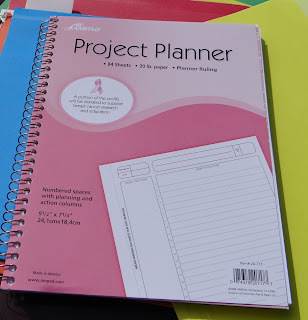 The Ampad Project Planner is spiral bound with a card stock cover and a heavier cardboard back so you can turn back pages in it easily to have it open to a specific page. The cover shown tears off, and cover under it has a nice irregular pink horizontal stripe with a small ribbon in the lower right hand corner. 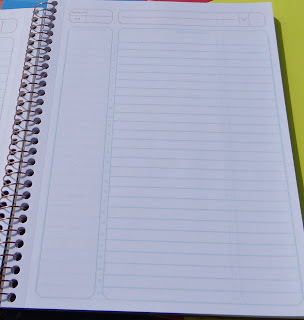 The pages are micro-perforated to pull out easily and divided into sections for Author/Date, project name, project action notes (or supplies or ingredients if you're a crafter or cook!) and project planning notes which makes a nice space for instructions. The paper is nice quality but a bit on the thin side so I recommend using pencils. 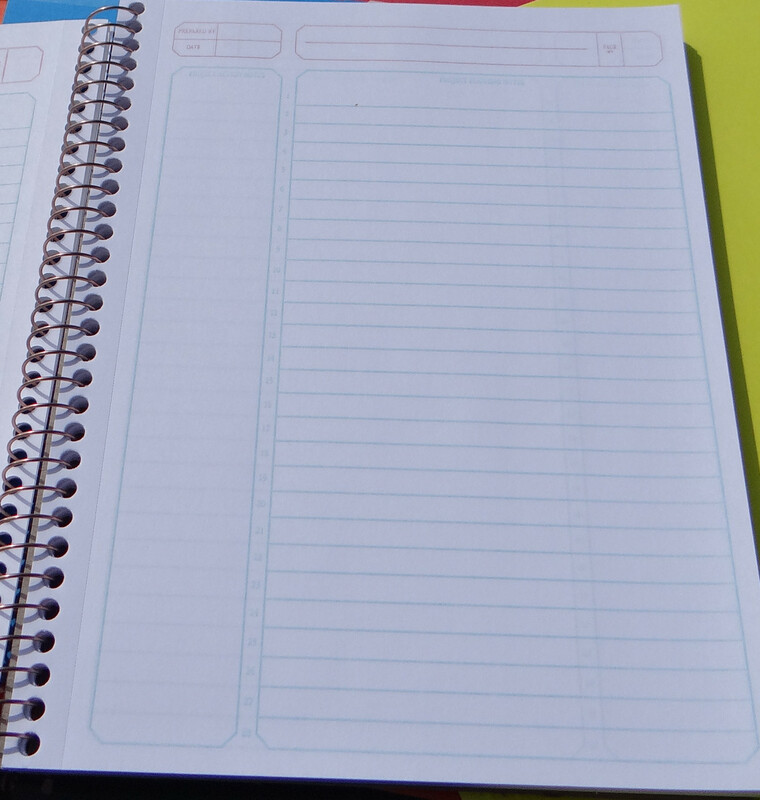 It could also be used like a daily planner with times written in the side column. My husband will be using the hanging file folders. I've already got project notes for a crocheted coin purse in the planner.